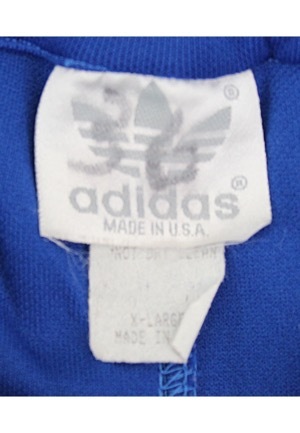 Attached to the rear collar is the Adidas manufacturer’s tag with the number “36” handwritten on it in black marker. Attached below is a flag tag reading “X-LARGE TALL MADE IN USA” with washing instructions. 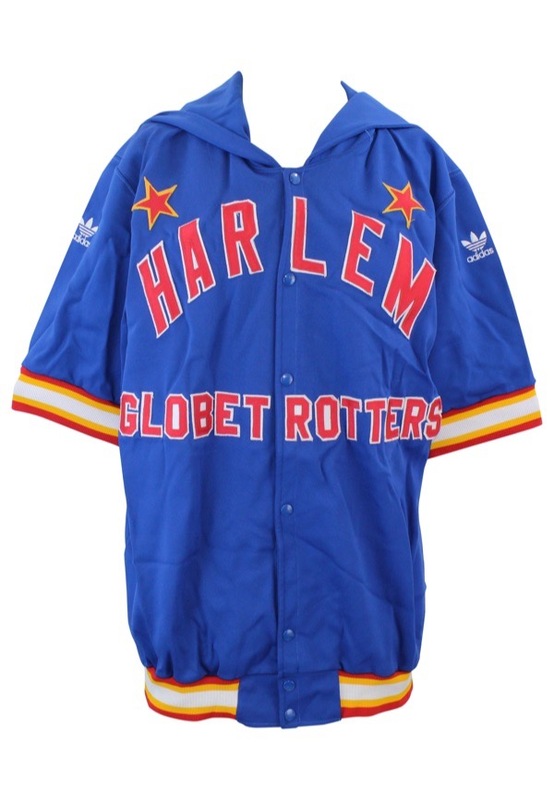 Across the front reads “HARLEM GLOBETROTTERS” in red on white tackle twill. An Adidas logo is on both sleeves. 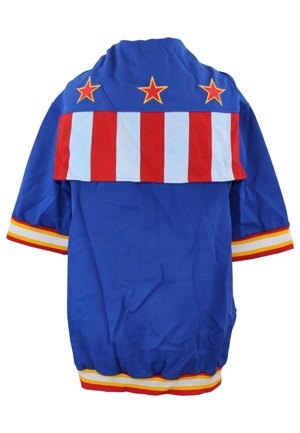 Across the back are three red on gold tackle twill stars. 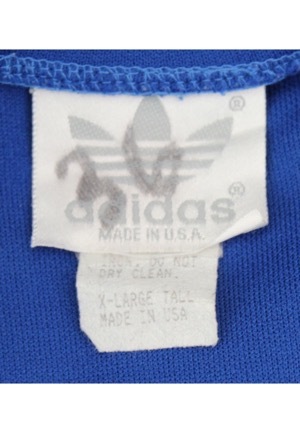 In the rear waistband of the pants is the Adidas manufacturer’s tag with the number “36” handwritten on it in black marker. Attached below is a flag tag reading “X-LARGE TALL MADE IN USA” with washing instructions. 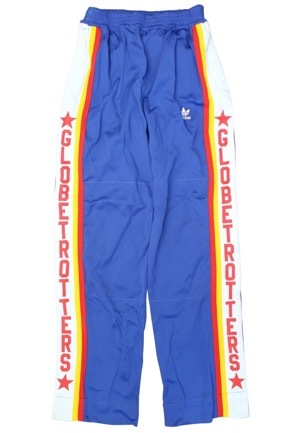 Down the sides reads “GLOBETROTTERS” in red tackle twill with an Adidas logo on the left thigh area. This warm-up suit is properly tagged, was presented to us as player-worn and shows use. Originally sourced from Lemon.